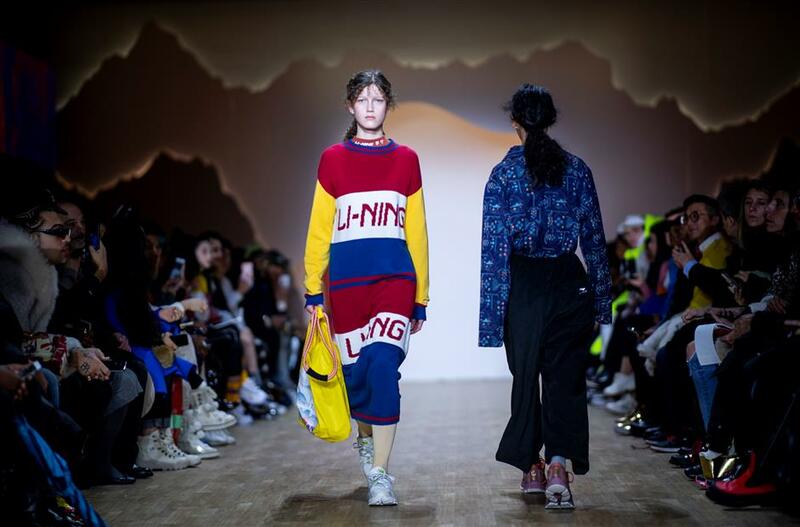 Chinese sportswear brand Li Ning on Tuesday debuted its fall/winter 2019 collection at the ongoing New York Fashion Week. A model walks the runway of Li Ning fashion show during New York Fashion Week on February 12, 2019, in New York City. The collection, centering on the theme "travel," features fluorescent and earth tone colors, waterproof fabric and linen. Chen Lijie, the brand's chief apparel designer, said his designs were inspired by traditional Chinese philosophy that man is an integral part of nature. While still focusing on sportswear, Li Ning's latest collection also explores outdoor clothing. It is the second time the brand showcases its collections at the NYFW. Held in February and September, the semi-annual event is one of four major fashion weeks in the world, collectively known as the "Big Four," along with the Paris, London and Milan fashion weeks.